President Obama has issued a proclamation declaring today, April 28, Worker’s Memorial Day in the United States, and calling “upon all Americans to participate in ceremonies and activities in memory of those killed or injured due to unsafe working conditions.” OSHA, the AFL-CIO, NIOSH and other organizations are also preparing to observe the occasion. According to the Bureau of Labor Statistics, in 2014 — the latest year for which complete statistics are available — 4,821 American workers lost their lives in fatal workplace incidents. Adjusting for workforce population change, this number represents a slight uptick in the fatal work injury rate from the prior year. United States Secretary of Labor Thomas Perez issued a statement this morning emphasizing the progress made in American worker safety, but also the need for continuous improvement. OSHA also held a live event commemorating Workers’ Memorial Day featuring OSHA head Dr. David Michaels, and MSHA head Joseph Main. A recording of the event is scheduled to be available electronically on the OSHA webcast page. 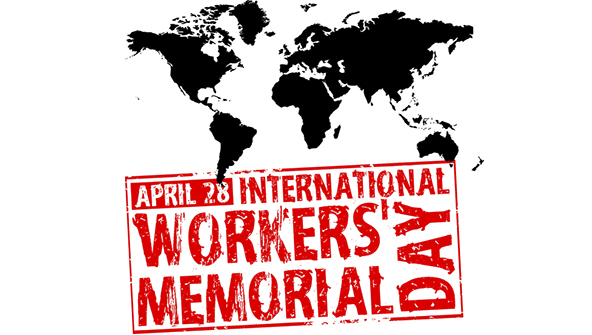 The AFL-CIO is also hosting multiple Workers’ Memorial Day events across the country. In informational material related to their celebration, the AFL-CIO acknowledged some of the strides toward safety made in the past year, including the new OSHA final rule to protect workers from exposure to respirable crystalline silica. However, the same material emphasized the need to implement even greater worker protections in other areas. To learn more about OSHA’s celebration of Workers’ Memorial Day — and to find the regional event closest to you — visit the dedicated OSHA webpage here. To learn about AFL-CIO events, visit their webpage here.